Sunday Brunch is organized by several Prague restaurants. It is a connection of good meal, social event and Sunday relax. Brunch is something between breakfast and lunch, it usually starts befor lunch and lasts to afternoon hours. The word is originated from English Breakfast and lunch. 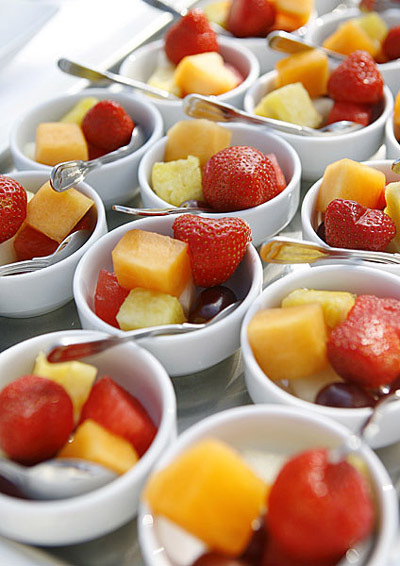 Brunches are often served in big hotels or in the hotels chains. It is an advantage because there are top chefs. Brunch is usually served as a buffet or as a degustation, you have to pay the notice price and then you can eat as much as you can. In this price, there are also soft drinks, beer, win or hot drinks included. There are discounts for children. Live music or program for children is often important part of brunch. If you want to take your friends, family, children or your business partners, do not hesitate, because brunch will be the right choice. 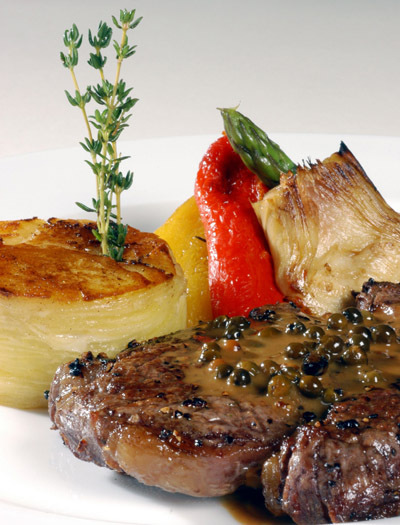 Restaurant Zinc is located in hotel Hilton Prague Old Town, in the city centre. The head chef and his team prepare every sunday great selection of dishes, english cusine style. Salt baked leg of lamb, roast Rib Eye Steak, lemon and thyme roast chicken, onion and cheddar cheese salad, Scotch eggs, smoked salmon, fresh oysters, lobters, prawns, traditional fish pie, Yorkshire pudding, glazed carrot and turnip and much more. Parking for the guests free of charge. The elegant, Art Deco La Rotonde restaurant is found in the centre of Prague in the well-known Hotel Alcron. An experienced team of chefs, with the well-known Roman Paulus at the helm, is on hand every Sunday of the year to prepare a brunch of outstanding specialties from Czech and international cuisine right before your eyes. A fine selection of fish, seafood, salads and meat dishes, a sushi bar, desserts and other delicacies are sure to delight all those that love good food. What is more, brunch is accompanied by live jazz. Restaurace Hegerova Cihelna is found in the heart of the Lesser Town (Malá Strana) on the banks of the River Vltava right beside Charles’ Bridge and is therefore the ideal place for refreshment after a Sunday stroll through the historic centre of Prague. Brunch at the restaurant is ideal for families with children. There is a special children’s menu for the kids, who can enjoy the play corner with professional supervision. Head chef Petr Laštovička and his team are on hand every Sunday to prepare delicacies that everyone can choose from. Brunch comes in the form of a warm and chilled buffet. The selection of dishes includes salads, vegetables, cheeses, crepes, roasted meats, fish, side dishes, fruit and desserts. Restaurant Mlýnec prepare every saturday and sunday brunch called Roast and you can enjoy selection of starters, main courses and desserts. Roasted steaks, Yorkshire pudding, roasted vegetables, gilled fish, sweets, salads and much more. Price includes also sparkling wine, unlimited sof drinks and selected local wines. Supervised children’s corner available. 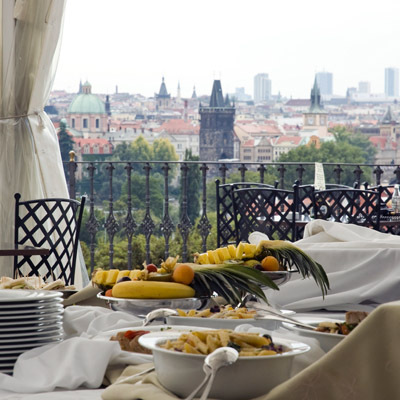 Restaurace Il Giardino is found in Smíchov in the hotel NH Prague City and offers breathtaking views of Prague. The unique hotel cable car runs from the main building to the restaurant. There is also a children’s play corner for the kids with plenty of toys, drawing, fairytales and much more. 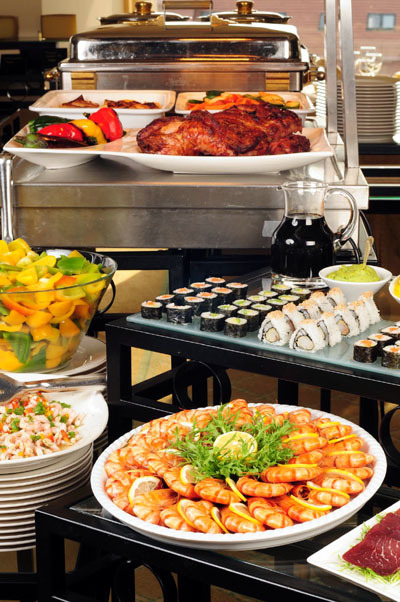 Brunch comes in the form of a fine warm and chilled buffet. There is a range of delicious salads, lamb or grilled prawns, gyros, delicacies from the restaurant's own smoke house and a fine selection of desserts. Head chef and his experienced team prepare a thematic brunch once a month. 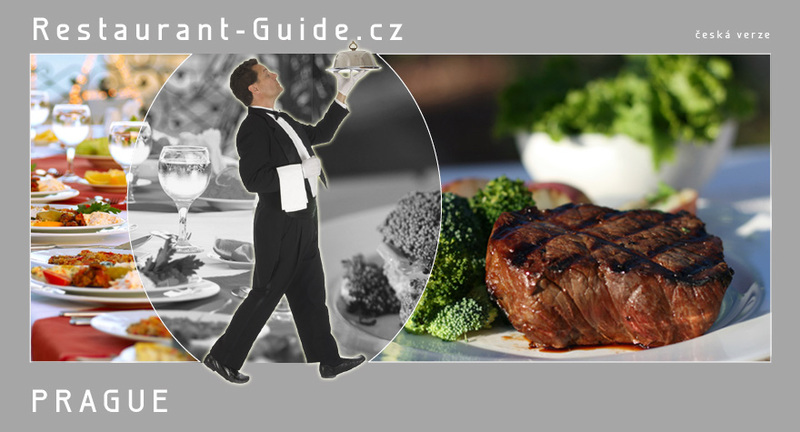 The price includes a glass of sparkling wine to welcome you, soft drinks, beer, Czech wine from the restaurant’s selection, coffee and tea. Parking is free, as is WiFi connection throughout the premises.